I’m not sure if I forgot just how good they are, or if these ones were just really good, but I think we need to reclaim the good old chocolate crackle back from the kids table. I became so obsessed with making chocolate crackles this week, I was after a quick and easy sugar hit, and these did the trick perfectly. I liked them much better using coconut oil instead of copha, it didn’t leave that filmy feeling in your mouth afterwards. And tricking them up with some glace cherry’s, shredded coconut and a chocolate drizzle, made them feel a little more grown up. 1. 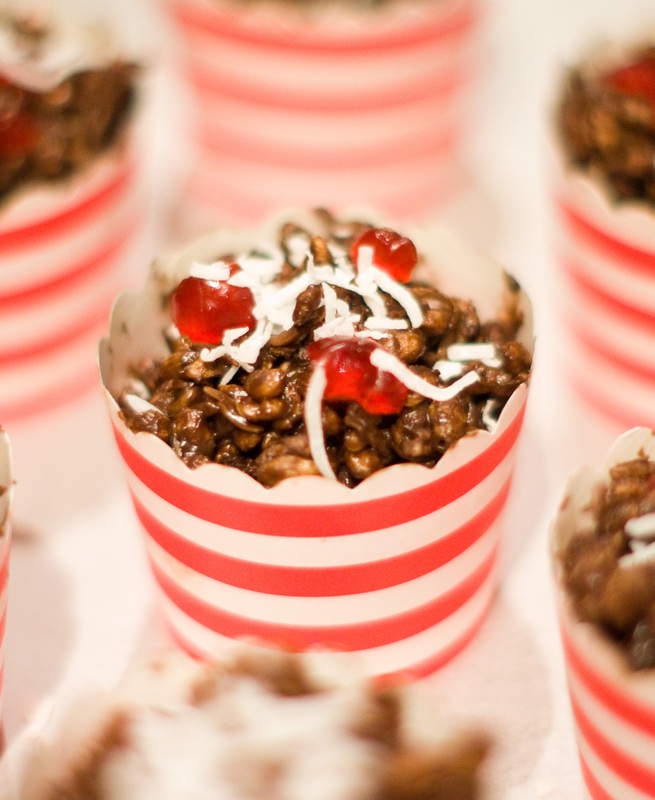 In a large mixing bowl, add the rice bubbles/puffs, icing sugar, cocoa powder, shredded coconut and glace cherries. Add the melted coconut oil, and stir through until well combined. 2. 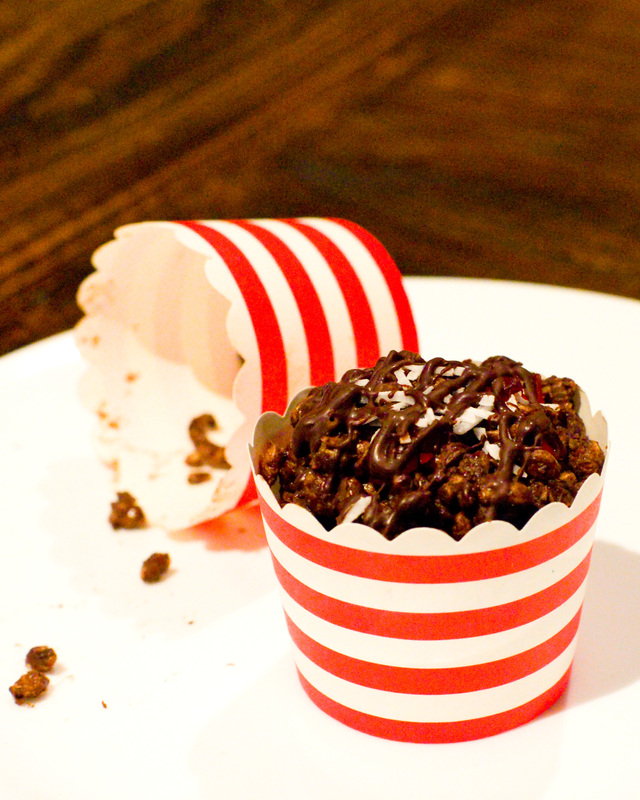 Spoon mixture into cupcake papers. Top with some extra chopped glace cherries, and sprinkle with some desiccated coconut. You need to do this while the mixture is still soft, so that they will stick. 3. In a small saucepan, add the dark chocolate and a teaspoon of coconut oil, stir until melted. Set aside for a couple of minutes to cool a little, but don’t let it go hard. 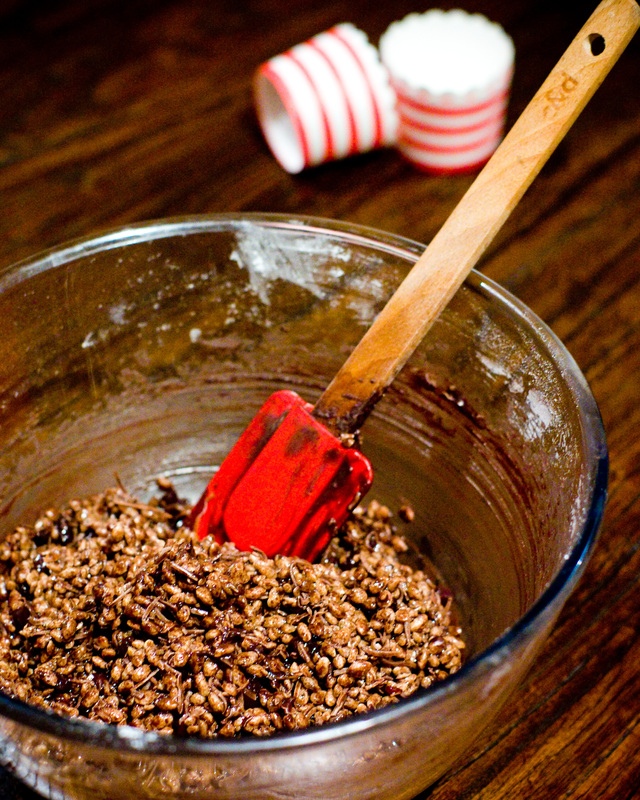 Using a wooden spoon, drizzle the chocolate mixture over the top of the crackles, using a flicking back and forth motion. 4. Put them in the fridge to set properly, and then enjoy! I love chocolate crackles but the copha does make me feel a bit sick, I’ll try your recipe next time but I think I might swap the cherries for real turkish delight. I like your thinking! Turkish delight sounds good!